Need a commercial umbrella insurance quote? Don’t get just 1 quote, get 3! Commercial umbrella insurance for tow truck companies is a smart business decision. The trick is finding an umbrella insurance provider that specializes in the towing industry. We can help. 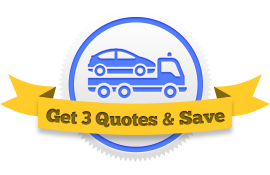 Fill out a simple quote form and we’ll connect you with three different umbrella insurance agencies specializing in towing insurance who will send you a quote. They compete for your business and you select the winner. Get started not—it’s free! Commercial umbrella insurance supplements your existing liability insurance. It is designed to help protect you from unforeseeably catastrophic claims by providing additional liability coverage above the limits of your general liability, towing liability, physical damage, on-hook, and garagekeepers insurance policies. Let’s say you have a total towing liability limit of $100,000. This means that in an accident, your insurance company will pay up to $100,000 in related damages. Ninety-nine times out of a hundred, an auto accident will cause less than $100,000 worth of damage. But big accidents do happen. When a major accident does occur and you or one of your drivers is found at fault, you are responsible for any damage exceeding your limit. That’s where Umbrella insurance kicks in. Umbrella insurance covers any additional costs after your regular liability limits. 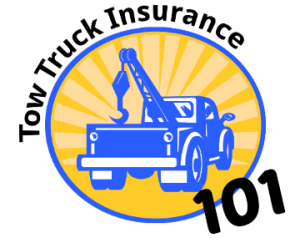 Tow truck umbrella insurance is versitile; it affects all of your existing policies. It also provides coverage for claims that aren’t covered by your other policies. Some umbrella policies will protect you against slander, libel, and false arrest. The easiest way to save a lot of money on umbrella insurance is to get several quotes from different towing insurance agencies. Let us connect you with three insurance professionals who will compete for your business. Everything is free and there is never an obligation. Fill out our short online form and we’ll get three agents in your area competing to win your business.